The striking Nastya Zakharova at Next Model Management lands the cover story of our Design SCENE Magazine‘s October 2018 edition captured by fashion photographer Adriano Russo at Unconventional Artists. Styling is work of fashion editor Emily Lee, who for the session selected pieces from Versace, Alain Mikli x Alexandre Vauthier, Edward Achour Paris, Creazioni Antonella, Salvatore Ferragamo, Giuseppe Zanotti, Cristiano Burani, Pierre Mantoux, Tagliatore, Beatrice, Erika Cavallini, Alain Tondowski, Suncoo, Arthur Arbesser, Maliparmi, Wolford, Bottega Veneta, and 16r. 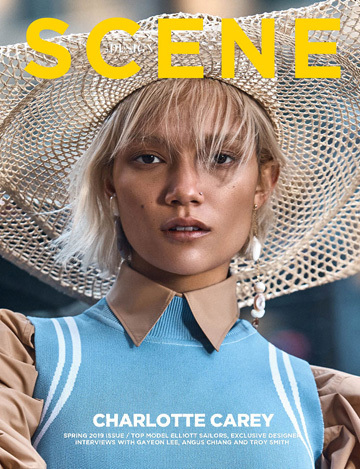 Originally published in Design SCENE #026 – Get your copy in print or digital on our shop page.